On January 1, 2018, Eve Oakley, beloved infant daughter of Nathan and Maryann Oakley, was admitted to Penn State Children’s Hospital (PSCH) Pediatric Intensive Care Unit with symptoms of lethargy and inability to eat. After her vitals were stable, she underwent exploratory abdominal surgery where a volvulus was found (a condition where a portion of intestine or bowel is twisted around itself, causing an obstruction). Once found, a portion of her small intestine was removed, with the remaining portions brought to the skin for colostomy and recovery. Eve also developed septic shock soon after as a result of the intense abdominal surgery, and remained in critical condition with life support for about 10 days. During this time, she was extremely puffy and swollen, with low organ function requiring numerous intravenous medications to keep her vital signs stable. 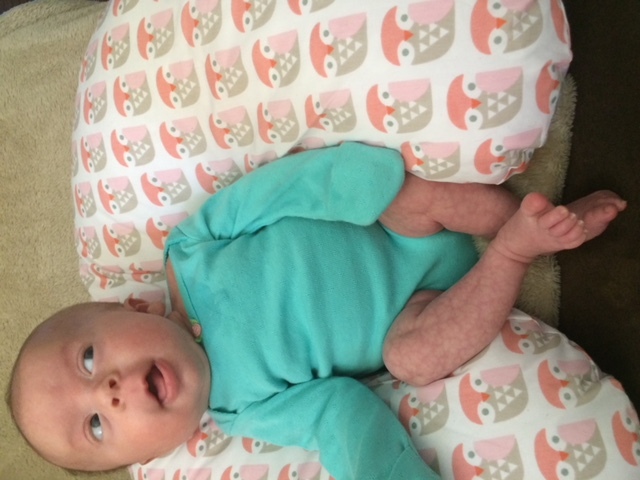 By day 11, her kidneys began to rally and turn the corner, which led to her puffiness and swelling to subside. Eve’s abdominal recovery is still ongoing, with slow improvements each day. 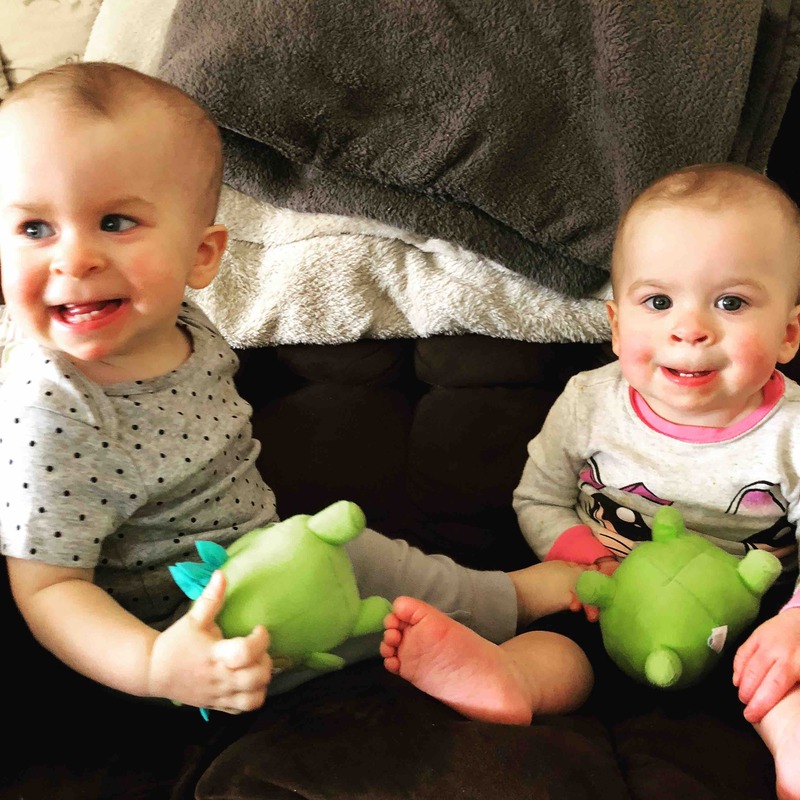 In addition to the abdominal surgery, Eve and her twin sister Ella were both recently diagnosed with Retinoblastoma (a cancer that forms in the retina of the eye). Ella was first diagnosed on January 15, 2018 with bilateral Retinoblastoma – one small tumor was found in each of her eyes. Her diagnosis and treatment is taking place at the Children’s Hospital of Philadelphia in coordination with Wills Eye Hospital. Ella began her first of six rounds of outpatient chemotherapy on January 18. Ella is currently at home and recovering from round one of chemo and its side effects. Eve was seen by an ophthalmologist at PSCH on January 17, at which the doctors at PSCH recommended transfer to the Children’s Hospital of Philadelphia (CHOP) to continue her abdominal recovery and begin treatment for the retinoblastoma. On January 18, she was flown via medical transport to the CHOP and was admitted to the NICU for recovery and treatment. Her chemotherapy treatment will begin soon once she is recovered and healthy enough to begin treatment. She currently has a colostomy bag for her waste, and the treatment plan is to eventually undergo surgery to reattach both sections of the intestine, however, it is unknown when this can occur with the prospect of chemotherapy treatment. 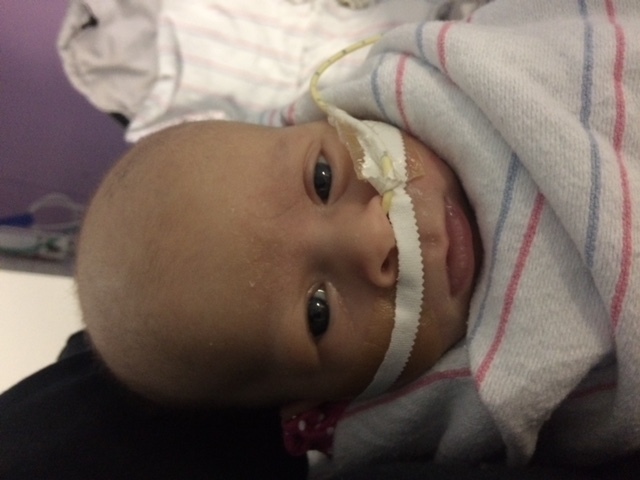 On January 23, her breathing tube was removed and she is breathing 100% on her own. Her treatment and recovery will be continuing for quite some time. As you can imagine, this has been quite a shock for the twin’s parents. They have had their hands full with medical tests, doctors, multiple hospitals, insurance, travel, and care logistics. On top of that, Maryann has not been able to return to work and Nathan has only returned part time (two to three days a week). Since both children are now being treated in Philadelphia, we felt we needed to start something to help alleviate any financial stress so they can focus on treatment and healing. 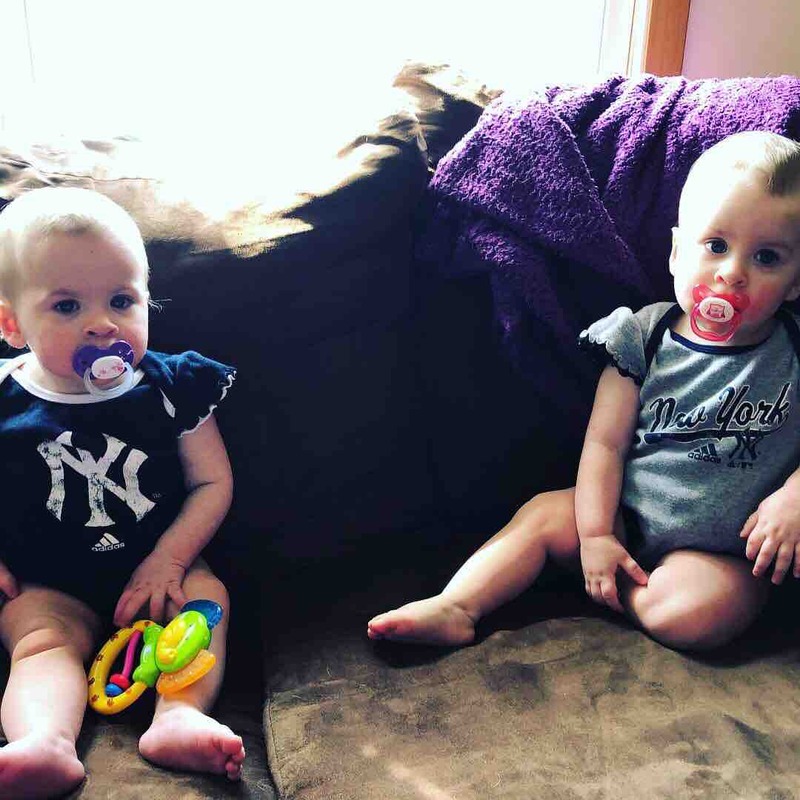 Any money donated will be used for medical expenses not covered by insurance, as well as travel and hotel accommodations since both children are now being treated in Philadelphia. Please keep both Eve and Ella in your thoughts and prayers and thank you for your support. We will be posting updates via GoFundMe and Facebook. No one fights alone and we feel so fortunate to have so many help us as we Rally for Ella and Eve! We’ve been very busy with little Eve and Ella but we enjoy every single moment with them. They are just so happy. Eve had her sedated MRI recently. She also was a warrior and did well. No tumors were detected in her brain. However, the doctors did see some areas of “concern.” This was most likely due to her cardiac arrest and septic shock that she experienced at just days old. The doctors said this is currently stable. We will keep a close eye on this as well. Mainly focusing on her development and milestones. Also, making sure she is using both sides of her body appropriately. We have early intervention come to our home daily. They are amazed with her progress and Eve is so very smart. We are working on getting another doctor/neurologist to take a look/opinion on this. Eve will be leaving for Philadelphia next week. She is now due for her eye exam under anesthesia to check her current tumor and new tumors. WE get so nervous as these dates approach. So keep little Miss Eve in your thoughts as well. Mommy misses her so much when she leaves. Mommy goes down to Philadelphia for Ella’s eye exams and Daddy goes down with Eve for her eye exams. We need someone to not be tired afterwards as we have to report to the OR by 6 am. It’s hard on everyone, especially the twins. Unfortunately, Ella and Eve will still need go under anesthesia for many years to come. They are in a very crucial stage right now for new tumors, as the risk is quite high for new tumors 1 year after beginning grueling chemotherapy. And since the eyes grow until age 5, that also makes it high risk for new tumors or activity. We are still trying to figure out Eve’s hearing disorder known as auditory neuropathy. We travel often to Philadelphia where she goes into a booth for hearing tests. When she first started, she was diagnosed with profound auditory neuropathy and we were devastated. At her last booth test, she tested at mild to moderate. She is improving each time!!! The audiologists are still pushing for the hearing aids. But Dad and I are nervous about this as we do not want to cause more damage to her ears. I’ve expressed our concerns to the audiologist. She is doing so well at home and responds to pretty much everything!!! So, the plan right now is to get TWO of the same test results before placing the hearing aids. She has her next booth test in May. I am hoping that she continues to improve just as she has been. C’mon Miss Eve, you can do this!!!!! Also, it’s not common, but auditory neuropathy can resolve itself with age. Eve and Ella are very busy little ladies. One of them is going under anesthesia each month. Sometimes 2 times a month. It’s been like this since birth, and it never gets easier. They still have a long road ahead and we are by no means out of these woods yet. Retinoblastoma is so tricky, in that it can show its’ nasty face again at any time. Dad works when he can around their busy schedule. Mommy still stays home to be with them. I don’t think I will be able to return to work for quite some time. Not with all their doctor appointments and therapy. They are a brave little duo. They follow each other everywhere. Others think of us as very unlucky. I feel like we are the luckiest family on Earth to have been blessed with these two. Thank you for your continued prayers and support. Everything has been so very helpful through these difficult times. Please think of Ella and Eve in the coming weeks as they head in for their exams. Thank YOU!!! I started and Instagram and Facebook Page for them. Hello Everyone!!! It’s been so long since we’ve added an update. We’ve been so busy having both twins home, that we do not have much free time. We hope to now have more time to make more updates. Eve finally came home in June from the hospital. Prior to coming home, Eve contracted three infections and had a severe blood clot. It was such a set back, and delayed her discharge. She had been in the hospital for 6 long months. The same day Eve came home, Mom had to take Ella to the ER. The soft spot on her head was quite swollen. She had an immediate CT scan followed by a sedated MRI. Luckily, it turned out to be nothing. So Eve’s coming home was not how we had planned to say the least. Nothing has really gone as planned though. Once Eve was home, we were all so very overwhelmed. Eve still had round the clock feedings through her feeding tube and still had her ostomy bag. Although Dad had been managing her ostomy care for about a month prior to discharge, it was still a challenge without having the nurses to assist. We also had to handle her feeding tube replacements every three days (or when she’d pull it out). Eve was also on medications that needed to be administered every four hours. Eve’s care was truly around the clock. We asked for a nurse to come overnight, but none were available in our area We learned so much taking care of Little Miss Eve. There was very little sleep involved for Mommy and Daddy during this time. This went on for months. 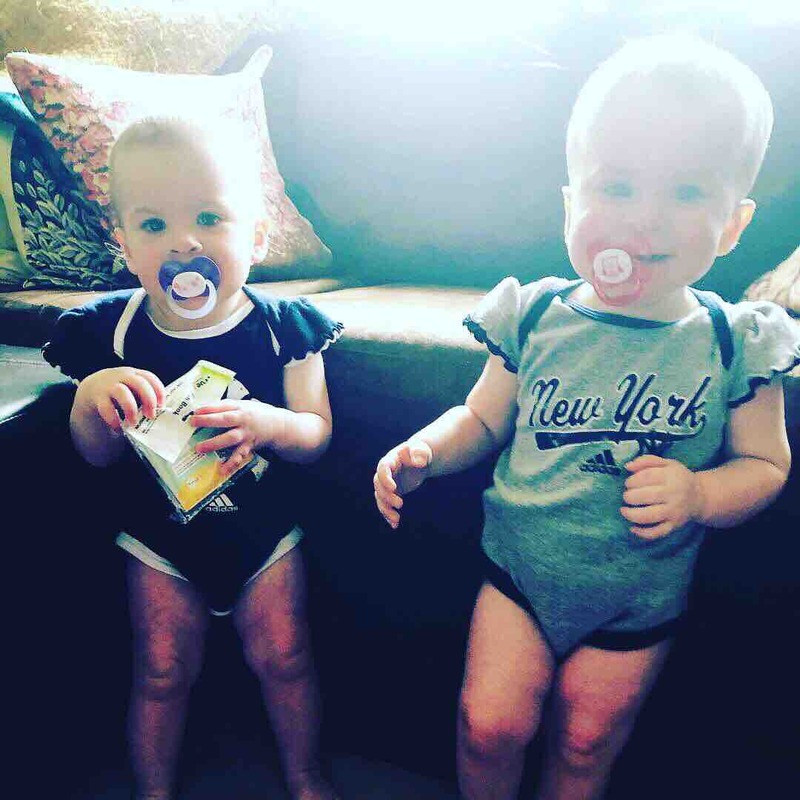 Ella and Eve had their final chemotherapy round together at the end of June. Finishing chemotherapy together as a family was really special for us, while at the same time very overwhelming taking care of both girls during and after treatment. Once they were done with chemotherapy, we were so happy!!! We could finally sleep a little better knowing that the chemo portion of their treatment was complete. Retinoblastoma typically requires a minimum of six rounds of chemotherapy over six months. Since eyes grow and develop until the age of five, they are still at a higher risk for new tumors developing along with the risk of the existing tumors starting to regrow. Both Ella and Eve will require routine eye exams under anesthesia every three to four months. Ella already had a new tumor develop in August. Fortunately, it was outside of her line of sight, so they were able to use laser treatment immediately after discovering it. If tumors ever develop in the line a vision, a more aggressive form of treatment may be needed. Eve had her intestine reconnection surgery in August after she had recovered from her last round of chemo. We were so nervous. The thought of her going back into the hospital terrified us. We were scared she wouldn’t come home. The surgery went very well and after a five-day hospital stay, Eve was back home. Aside from a nasty diaper rash, her intestines and bowel were recovering nicely. Eve’s next procedure in September was to have her IV port removed. This also went smoothly. We were happy when this was done because this meant no more twice a day shots of Lovenox (to prevent blood clots). Eve still needs to travel to Philadelphia/CHOP to see their GI team. We were recently able to remove Eve’s feeding tube. She had it in for almost a year. We are still working on this change, as sometimes she is just not hungry. Daddy and Mommy had to come up with a plan on our own to ensure she gets all of her milk and calories. Eve is still on blood pressure medication which she gets twice a day. High blood pressure may have been caused by all of the kidney damage she suffered when she was really sick. On top of all of this craziness, Eve was recently diagnosed with Auditory Neuropathy Spectrum Disorder. We were devastated once again. This means Eve’s outer ears are functioning normally, but her inner ears are not The nerve within the ear is not firing properly. Which means she can hear, but it may sound distorted. It has been compared to static on a radio. Some people do really well with this, some do not. This is why it is a spectrum disorder. She may hear fine or may she may need hearing aids. If the hearing aids do nothing, she may even need cochlear implants. We have chosen for her to be treated at CHOP in Philadelphia for this as well. They are doing a lot of tests on Eve. We are hesitant to put in hearing aids as she may hear just fine. Hearing aids could do more damage in the long run. We had to do A LOT of research on this as it is also very rare, along with all of her other conditions. She responds so well to her name, voices, and noise. So we are so hoping that she will be just fine. This may take a little time to finally figure out what is best for her. Doctors are unsure of the cause as she passed all of her hearing tests at birth. They believe it may have been all of the medications she was on when she was really sick. Eve and Ella both have early intervention services throughout the week. The therapists come to our home and are WONDERFUL!!! Eve has a hearing therapist, OT, PT, and a Nutritionist. Most of these are to help with her growth and development. But she is catching up to her sister so fast, everyone is just amazed. She is so smart!! Ella only has PT. This is to help with her torticollis (tightening of the neck). This was most likely caused by the positioning of the head/neck while in the womb. This can be easily corrected. She is progressing very well. Mom and Dad are hanging in there. This has been so very hard. We just love them so much!! Maryann still has not been able to return to work. Eve and Ella are not caught up on their vaccinations. The vaccinations were put on hold due to the chemotherapy. Their immune systems also remain suppressed for one year. Also, Eve and Ella both still have so many doctor appointments, therapies, exams, anesthesia, etc. Nate works a limited schedule, whenever possible. We schedule everything around them of course. Financial stability has always been a worry for us. Eve and Ella will continue to go under anesthesia for an eye exam every 3 mos. We do not take them on those trips together. We find it easier to only have one twin under at a time. I, Maryann, usually go with Ella, and Nate will go with Eve. They also still need sedated MRIs every 6 months. This is to make sure no tumors have spread to the brain. We still have to travel a lot, especially with little Eve. Her team is mainly in Philadelphia. Eve and Ella will not be considered cancer free until the age of five, when the eyes start to stop growing. We still have a long road ahead of us. We are so very happy we were able to spend the holidays together as a family this year. We loved watching Ella and Eve play with all of their Christmas presents. We also got to enjoy their 1st birthdays with friends and family. They have come so far. We cherish every single moment with them as well as keep a brave face for them. Its so amazing to watch these little twins learn and grow. An update from my sister, Maryann Oakley. It has been a good week for Miss Eve. Her feeds have incrementally increased to 30ml every 3 hours. She gets really excited and loves to bottle feed. She has also regained weight and her physical appearance looks much better. The surgical team at CHOP has been seeing Eve over the past week and is pleased with her progress. They have tentatively scheduled surgery for February 14 to reconnect her intestines to her bowel. She’s still not out of the woods. Once she has the surgery and recovers for a day or two, they will slowly restart and increase her feeds, making sure everything is flowing properly and she continues to gain weight. Eve also has had an occupation therapist work with her to make sure she is developing as she should be. She tracks with her eyes very well and recognizes both mommy and daddy when we are there. The therapist said she is making great progress despite everything she has gone through. Miss Ella also had a good week. We went to her weekly visit at Hershey Medical Center, and her blood work came back with flying colors. She’s been a tad constipated this week, but we are working to resolve that. Miss Ella has been smiling and she loves when we sing to her. She will return to Philadelphia this week for another round of Chemotherapy. I am not looking forward to that. I am praying it will go better this time, because she got really sick last time. With her white blood cells dropping so low, we need to be so cautious that she doesn’t develop an infection or fever. Which is why we go to Hershey once a week for blood tests. Doctors say that there is a 50/50 chance they could end up in the hospital throughout there chemotherapy treatments. We are trying to stay positive and not think about it. Other than that, she’s a delight and she is excited that her sister is making such great progress. Hopefully they will be reunited very soon. Thanks again to all for your outpouring of love and support!! !